Do you enjoy your desktop having beautiful animated wallpaper? Just have a look at the Free Animated Desktop Wallpaper "Garden"! This is a beautiful garden. You will see the a white swan and many garden flowerses. Dont you think that this garden with a myriad of butterflies fluttering over it is amazing? 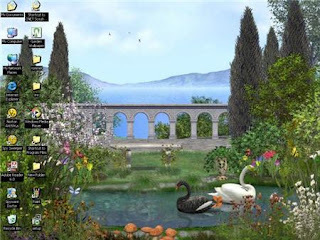 Download and Install Free Animated Desktop Wallpaper "Garden" and enjoy this beautiful place. Have a good time with free animated wallpapers.